Unlike most places in the world (other than Yemen or Afghanistan), a vibrant gun culture is still alive and kicking in the US. But a new company wants to put a fresh spin on every enthusiastic shooter/outdoor type’s departure from this life. 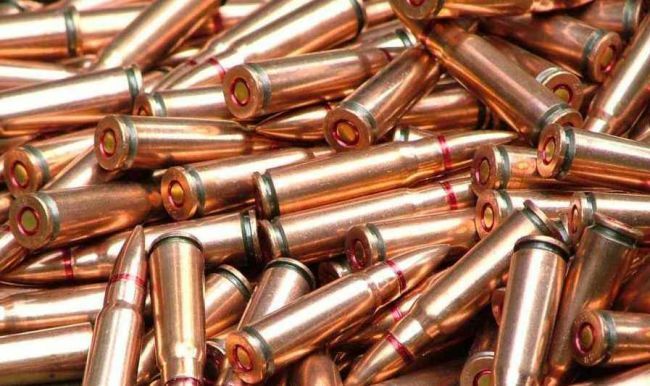 The startup is called Holy Smoke LLC and its founders specialize in turning cremated remains into bullets. Part of their marketing campaign involves shooting people into the afterlife. Not surprising. Holy Smoke got its start in unusual circumstances. A long while ago, Thad Holmes and Clem Parnell were contemplating existential matters. In the midst of their discussion came the idea for a radical service aimed at the gun-owning part of the population. Being enthusiastic game wardens and outdoor adventurers, the pair were experienced with making bullets for small arms. Shotgun shells are also among their specialties. So this year, Holy Smoke LLC finally came into existence. What it does is take the remains of a recently deceased loved one (this means ashes after cremation) and use the dust in the mixture for cartridge shells. Unfortunately business has been a little lean on the fledgling firm, having serviced only two clients since formally opening in July. Oh well, growing pains. Everybody has them.